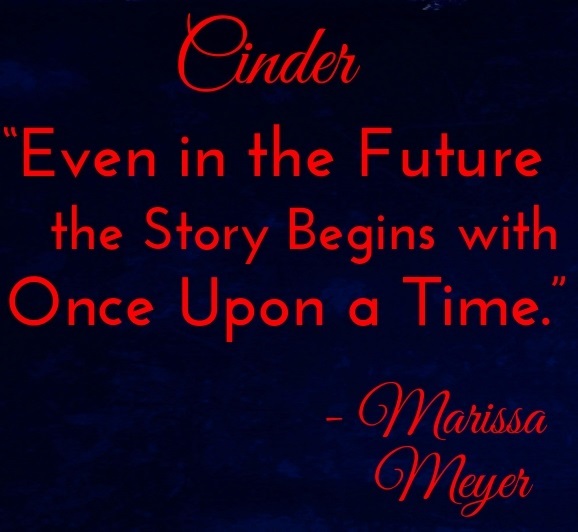 Cinder by Marissa Meyer is the first book in the Lunar Chronicles series. 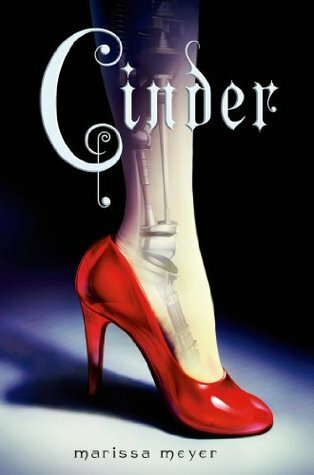 A futuristic retelling of the modern fairytale of Cinderella. Set in a world where Earth is at a never ending confrontation with Luna (the moon). With lies, secrets, and sci-fi elements, the reader is taken on a wild journey. I enjoyed the new take on the classic story so much that it was fun trying to piece together who each character was loosely based off of. The plot of Cinder follows a cyborg girl who the book is named after as she tries to deal with her mysterious past and the connection to the Lunar people that are trying to take over Earth. With twist and turns, numerous secrets, and a handsome prince, this book had everything I look for in a great read. The only issue I had with it was the predictability. I felt like I knew what was going to happen before it actually happened. That is all fine and dandy, I just wish I was surprised by some of the revelations that occurred. 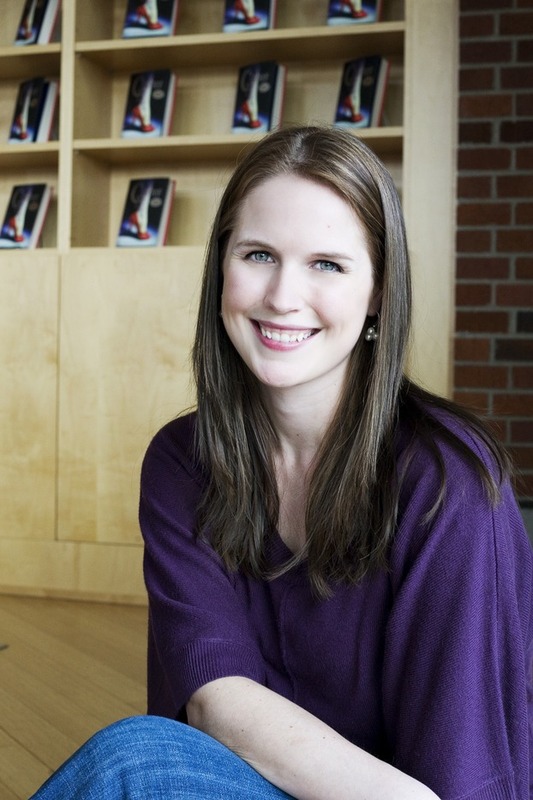 Marissa Meyer’s writing is tantalizing, descriptive, and just a joy to read. There is no awkward eye rolling cheesy dialogue between characters that makes me cringe. There was humor (especially with Iko), teenage love angst, cockiness, ruthlessness, and sweet character bonding that her writing just accentuated. I just wish there wasn’t predictability and the writing would have been absolutely perfect. Cinder, the cyborg protagonist. She is a strong female heroine without being stupid and annoying. She made her own decisions, didn’t fall in love with the prince right off the bat, and the relationship she had with her android friend Iko was a complete perfection. She was humorous, and the bickering that she did with Kai was cute as well. Kai, the prince charming. He is thrust into being the new Emperor after his father passes away and has to deal with the cruel Queen Levana of Luna. He is awesome, humorous, courageous, and not your typical prince. He is down to earth, loving, and a bit cocky! His interactions with Cinder were funny and cute, and the way he made his decisions was brave. I want more of prince Kai in the future! Levana, the evil queen from Luna.Everything you can hate in a character, Levana has. She is rude, condesending, cruel, ugly, and treacherous. In my opinion she is everything an antagonist should be. She doesn’t have any good morals or decisions, she is just be completely evil! She encompasses everything I like in the evil character and it fits well with the story! 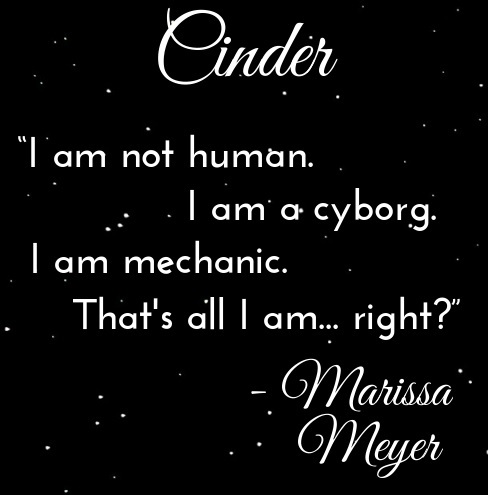 Over all, I enjoyed Cinder by Marissa Meyer. I was definitely not in love with it, but I didn’t hate it either. Let me know if you have read it and lets start a conversation! This entry was posted in Menu and tagged Action & Adventure, Fairytale Retelling, Fantasy, Feiwal & Friends, July, Marissa Meyer, Review, Romance, Young Adult. Bookmark the permalink. I just finished this book last week for the Make Me Read It Readathon. I really enjoyed it. I completely agree about Levana, she is so deliciously repulsive! I think Adri was a brilliant evil step-monster too. No joke at one point I had to throw the book down because I couldn’t stand to read about her, she made me so mad! This was followed by me scrambling after it because I realised I hated her but I did want to know what was going to happen haha! I flew through this book, it has definitely become a fast favourite for me. Unfortunately Cinder’s real identity had been spoiled for me before I started (grr) so maybe this was why the blatant foreshadowing didn’t irk me too much. Either way, great review! I’m currently on book 3 right now and I must say it gets better. I’m mostly reading for Queen Levana though. She’s so evil I love it. I agree with you, this book was a great premise, but rather predictable and a little forgettable in the end. Exactly! I’m continuing on for Queen Levana. She is dreadfully evil!